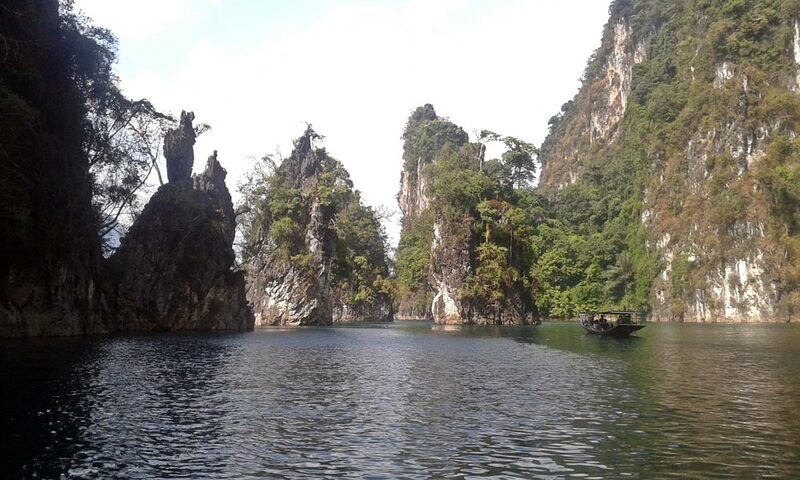 The Khao Sok National Park is one of the most spectacular sights in southern Thailand. 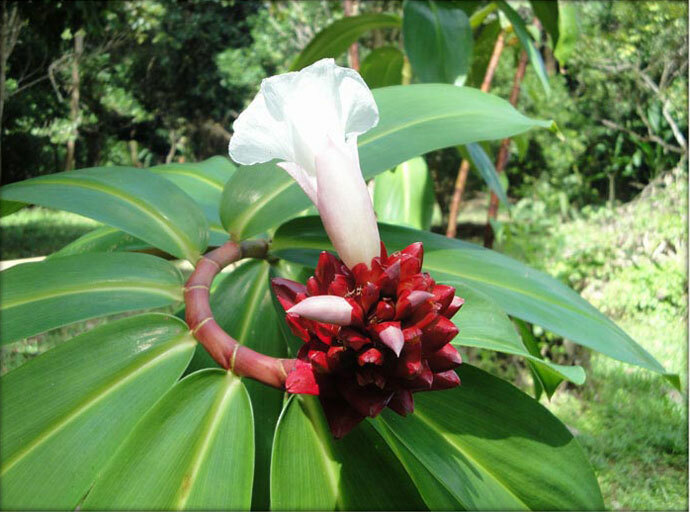 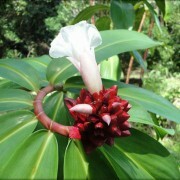 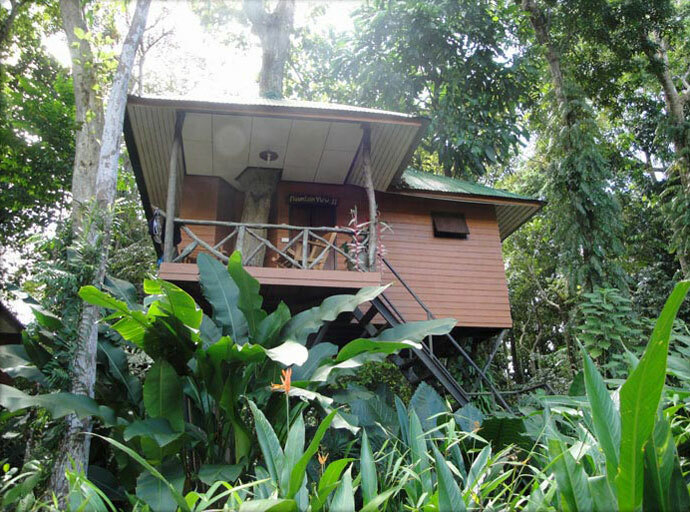 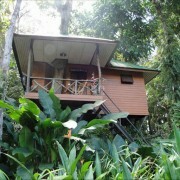 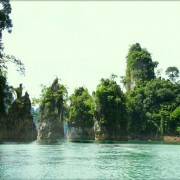 The stunning scenery is dominated by one of the oldest rainforests in the world. 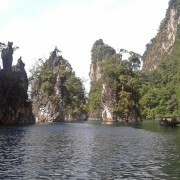 Huge limestone mountains rise up from the evergreen valleys into the blue sky. 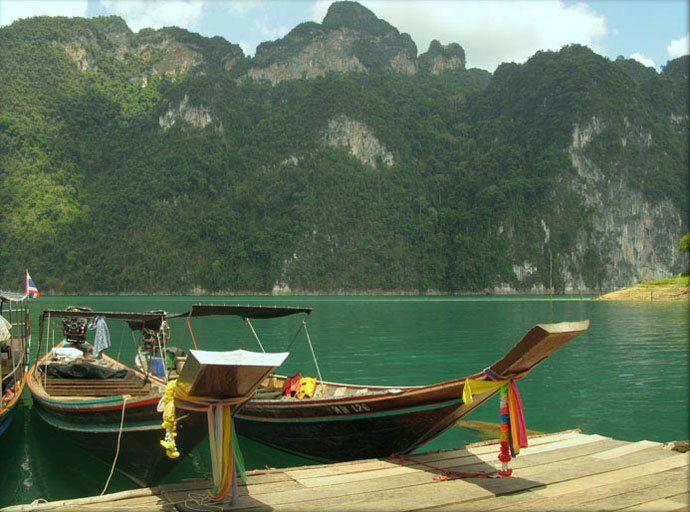 The construction of the Ratchaprapha dam created Cheow Lan Lake which is 162 km² large. 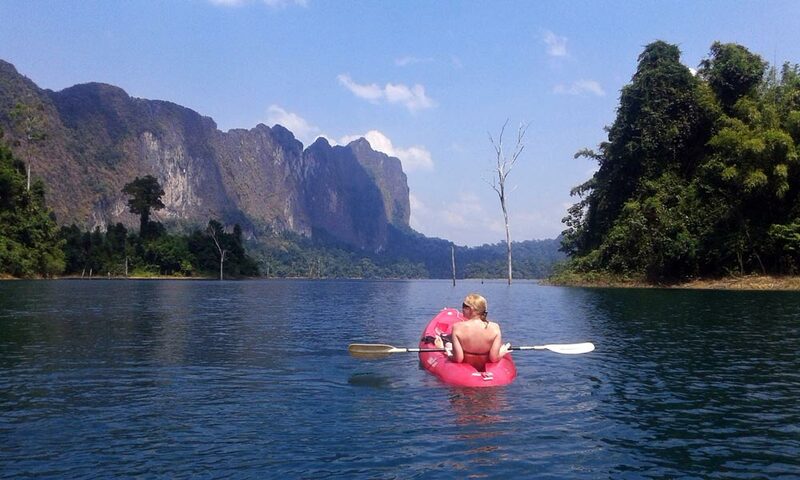 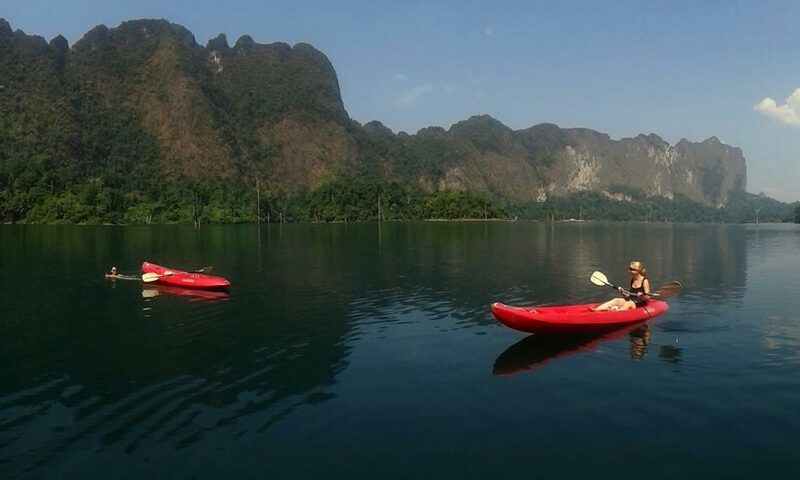 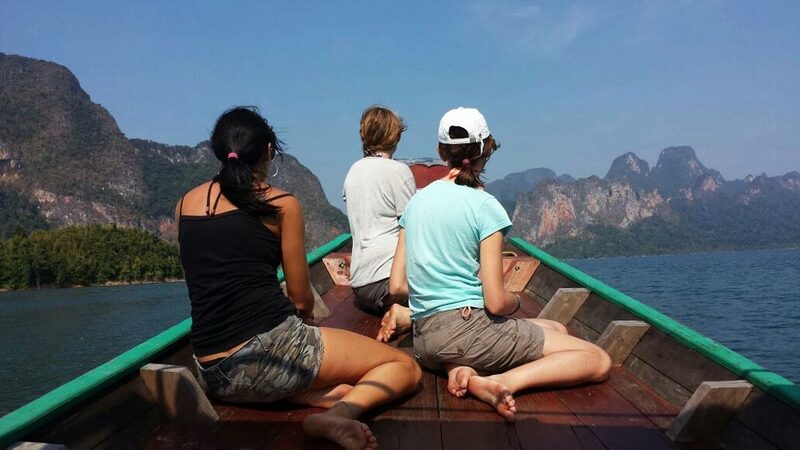 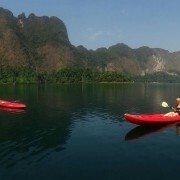 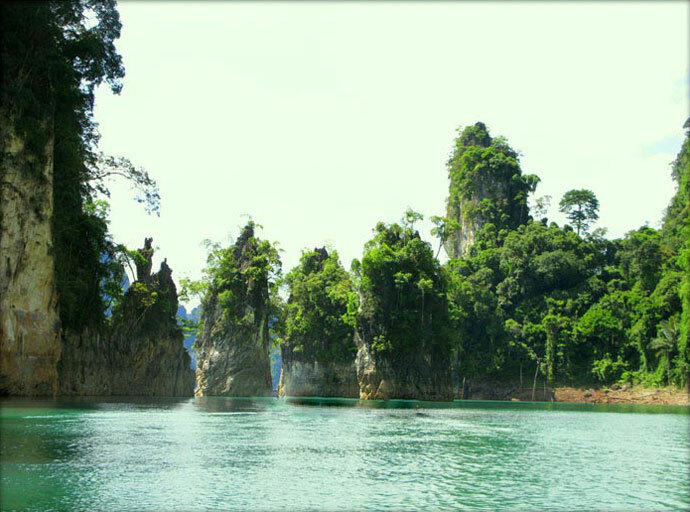 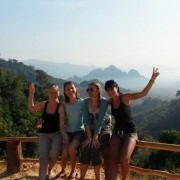 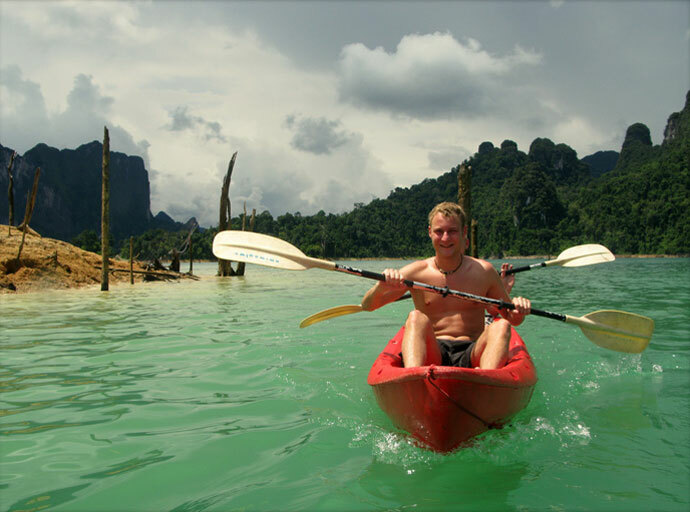 After the expansion of the national park in 2001, the current total size of Khao Sok National Park is 739 km². 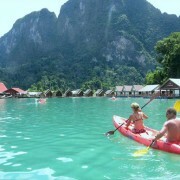 On the Cheo Lan Lake there are so called raft houses. 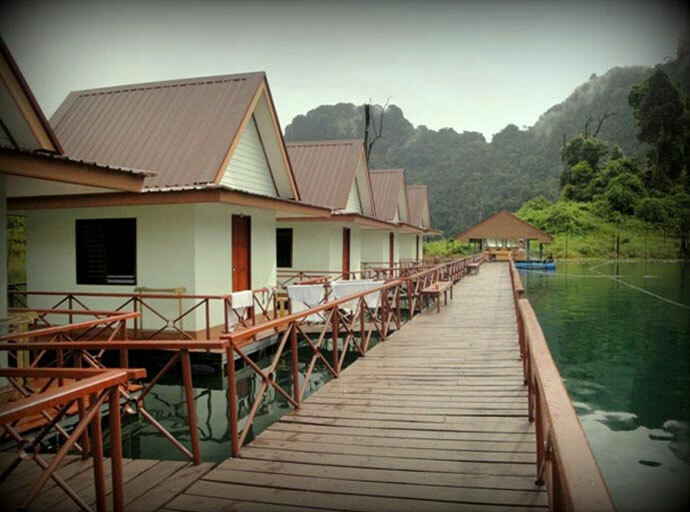 These are “floating” bungalows that can be booked for an overnight stay. 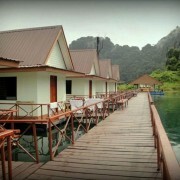 If you are staying in one of those you can jump from your own terrace into the refreshing lake to cool off. 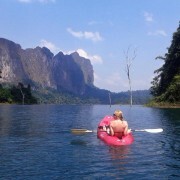 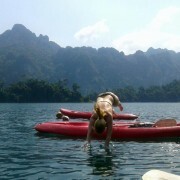 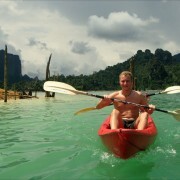 Or you can explore the lake using one of the cayaks that are available. 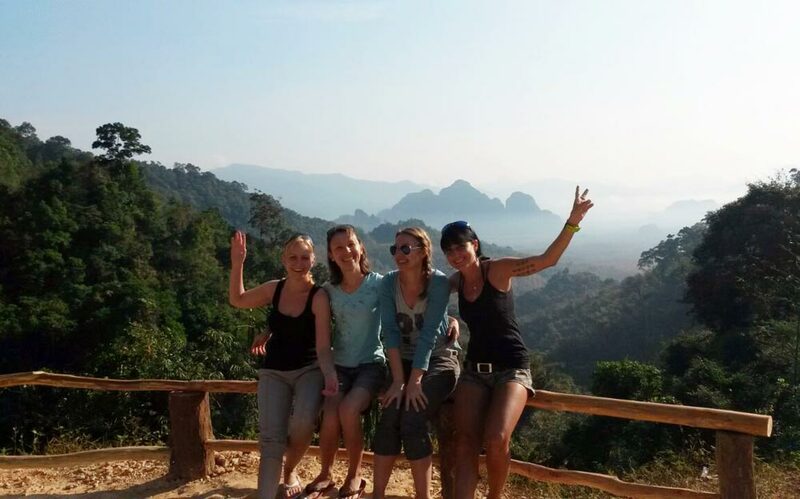 The evening will bring a beautiful quiet atmosphere and amazing views of the sunset. 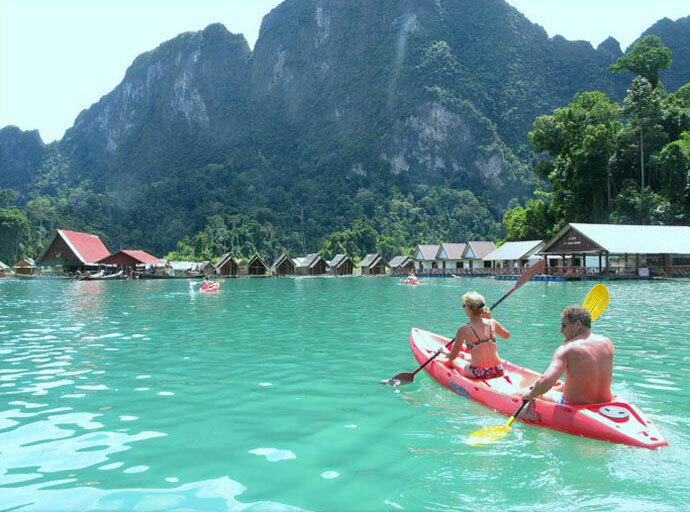 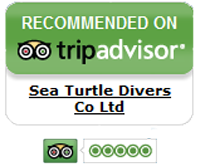 A “pure nature” experience you really shouldn’t miss.